KICKER has announced that its wireless Tabor Bluetooth headphones ($179.95) are now shipping. 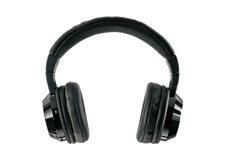 These over-the-ear headphones feature 50mm drivers, with a sensitivity rating of 101 dB and a 32-ohm impedance. Bluetooth capabilities include support for aptX and A2DP, the headphones have the full complement of phone and playback controls, and the company claims 10 hours of battery life for the rechargeable lithium-ion battery. KICKER Performance Audio today announced that its new Tabor Bluetooth Wireless Headphones are now shipping, freeing the company's big, bold, signature bass performance from the constraints of cables. KICKER Tabor Bluetooth Wireless Headphones (SRP: $179.95) are designed to offer the perfect blend of performance, comfort, and convenience thanks to their lightweight chassis, cushy over-ear pads, and robust 50mm dynamic drivers designed to deliver the most from movies, music, games, and even voice calls. With its built-in microphone, intuitive controls, and Bluetooth capabilities--featuring support for A2DP (Advanced Audio Distribution Profile), AVRCP (Audio/Video Remote Control Profile), HFP (Hands-Free Profile)--the Tabor quickly and easily pairs with an iOS or Android device, delivering hands-free, wires-free audio playback and voice calling with no compromises. The Tabor also supports aptX Lossless for the purest in better-than-CD-quality audio playback. In addition to its multifunction play/pause/power/pairing button, the KICKER Tabor also features dedicated buttons for volume up, volume down, previous track/rewind, and next track/fast forward. Its micro USB port makes charging a snap, and its 3.7V/600mAh lithium-ion delivers 10 hours of listening and talking time on a 2.5-hour charge. For those times when the Tabor is running low on battery life, though, or if the user is in a situation or location where Bluetooth is not allowed (such as hospitals and airplanes), Tabor also features a 3.5mm stereo auxiliary jack and a cable with integrated microphone and simple controls for iOS and Android devices. The included cable's microphone button allows the end user to pause music, answer and end calls, skip tracks backward and forward, fast forward, and rewind. Voice controls are also supported on compatible iOS devices. Products by KICKER Performance Audio, a division of Stillwater Designs and Audio, Inc., are available for the home and mobile audio aftermarket at authorized dealers worldwide, and also as selected Original Equipment through other manufacturers. Consumers needing more information on KICKER may call the Consumer Information Line at 1-800-256-5425 or visit the brand website at www.kicker.com. • Get more details on KICKER's headphone lineup here. • Kicker Ships, Adds Features to Audio,Headphones SKUs at Twice.com.